You are currently browsing the tag archive for the ‘Aecio Neves’ tag. In all the years I’ve been reporting from Brazil there is one subject I regularly tried to avoid writing about. That subject is politics and the reason is simple: Who gets elected president in Brazil doesn’t matter that much and for that reason Brazilian politics is rarely interesting to outsiders. Brazil is the world’s seventh biggest economy but it is relatively unimportant when it comes to geo-political matters. No one in Beijing or Washington or Berlin believes their world will change – much less THE world – if Aecio beats Dilma or vice versa. Brazil is more important than outsiders think, but less important that Brazilians want to believe. There are a lot more journalists and wannabes in Brazil now than there were 12 years ago and that means there is a lot more coverage and a lot more bias. In addition, elections can be interesting because of the personalities involved and this ballot provoked an unusual amount of interest because of Eduardo Campos’ tragic death, the rise and fall of Marina Silva, and the last-minute comeback by Aecio Neves. The economy will keep stuttering along – faster if Aecio wins, slower if Dilma does – and inequality will continue to fall – faster if Dilma wins, slower if Aecio does. Public security is largely a state issue, and the big changes necessary in education have to come at state and municipal level. Neither candidate can hope to end endemic corruption and although foreign policy might change slightly who really cares? The key issues facing Brazil – a modernisation of the justice, health and education systems, along with lower taxes, less corruption, a much-needed reduction in violence and a massive increase in infrastructure spending – are the same ones as one or even two generations ago. Those changes are not going to happen under the current dysfunctional system in which 28 parties in Congress force laborious negotiations on every little issue. What Brazil needs is a bold overhaul of its political system and more public participation. And there’s nothing that a new president can do about that. Brazilians voted for a new president on Sunday night, with Dilma Rousseff coming out top in the first round ahead of Aecio Neves and Marina Silva. It was a depressing moment for me, with voters opting for Dilma, in spite of the fact that during her administration the economy has slowed, she’s done nothing to make Brazil more open or more attractive to the outside world, and the incredible changes brought about by her predecessor have slowed noticeably. Not that voters had much option. 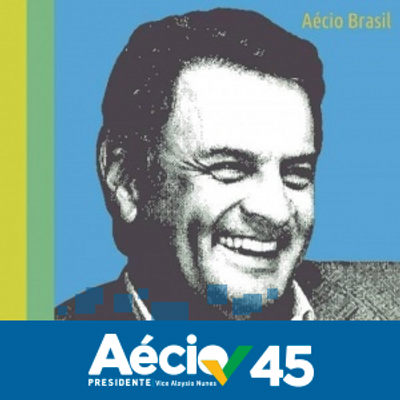 Aecio is distant and relatively unknown outside his heartlands of Minas and Rio and he heads a party that has been stagnant for years in terms of leadership and ideas. Marina was a change candidate, but is riven with contradictions and allows religion to play way too much of a role in her political life. Most disappointing of all was the fact that the June 2013 protests, where millions took to the streets to demand lower bus fares, better public services and less corruption, were, as I’ve been saying for a year, nothing more than a few days of fun and frolics. Those demands were forgotten completely and Brazilians were happy to elect the same old tired, questionable, right-wing, anti-progressive candidates who oppose abortion, gay marriage, police reform and other basic issues that are absolutely necessary if Brazil is to become a modern society. As the results came in, I riffed on twitter with the following 10 unbelievable things I was seeing. 1 – SP reelect Geraldo Alckmin resoundingly after brutal police crack downs and as drought approaches. 2 – Failed mayor Cesar Maia comes second in Rio Senate election. 3 – Rio put Crivella in gubernatorial run off against Pezao. The candidates were bad, but Crivella!? 4 – 41 % of Brazilians still vote for Dilma as growth falls, inflation rises and there’s absolutely no sign things will change in new term. 5 – A third of Brazilians see the PSDB – a party that has gone 8 years with no new leaders and no new ideas – as a viable alternative. 6 – It is frightening that in a major 21st century democracy all of the leading candidates are anti-abortion. 7 – A woman who consults God before making policy decisions may help decide who is Brazil’s next president. Now, that’s worrying. 8 – SP is one of Brazil’s most educated states. The 3 most voted deputies are a former TV salesman, a clown and an outspoken anti-gay pastor. 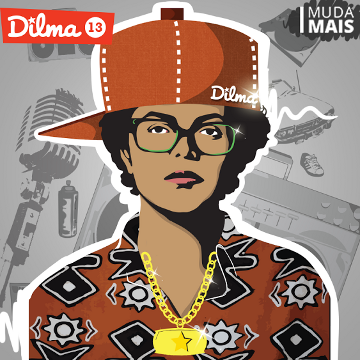 9 – Many people thought the June protests were a harbinger of a new Brazil. They were nothing more than a big fight/party over bus fares. 10 – And the most unbelievable thing to me about Brazilian elections is…..People take religious leaders seriously.